I ordered a test pair from a French company, Loding. Most of their shoes are Goodyear-welted and come in handsome last shapes, and all of them cost just 160 euros. I'd been looking for an addition to my "semi-heavy street shoes" in the form of split toe derbies, and decided to test Loding. Here's a few pictures of my pair, with just a touch a shoe voodoo to add a nice shine. The first impression is quite good for 160 euros. The leather feels OK, the color is rather beautiful and the stiching looks decent. The burnishing has been made a bit quickly it seems, but then again, you can't expect to buy a pair of John Lobbs at this price range. One important notion would be that they run considerably large fot their size marking. Having not worn them yet, I'm quite pleased. The only thing I would have wanted is a bit heavier sole. These have a kind of a Ridgeway/Victory type of sole with a different pattern, which seems good enough, but a thicker rubber sole would have added some more presence that I was looking for from this pair. All in all, it's still a beautiful pair for the money, and even if it ended up being a bit too dressy for any rougher outfits, it'll do perfectly for those lighter and semi-formal ones. Just waiting for my padded Eleventy jacket now. Hey, and yes, the shape is bang on. I'm quite pleased myself as well. No problem, glad to be of service. I'm actually wearing these shoes right now, for the first time, and they feel pretty good. I was afraid of the leather getting all creased already at the first wear at this price, but so far looking good. Love the shoes. Look really nice on the pictures. I'm looking for tan-oxfords at the momdnt though. I will look at Loding and see what they have to offer. 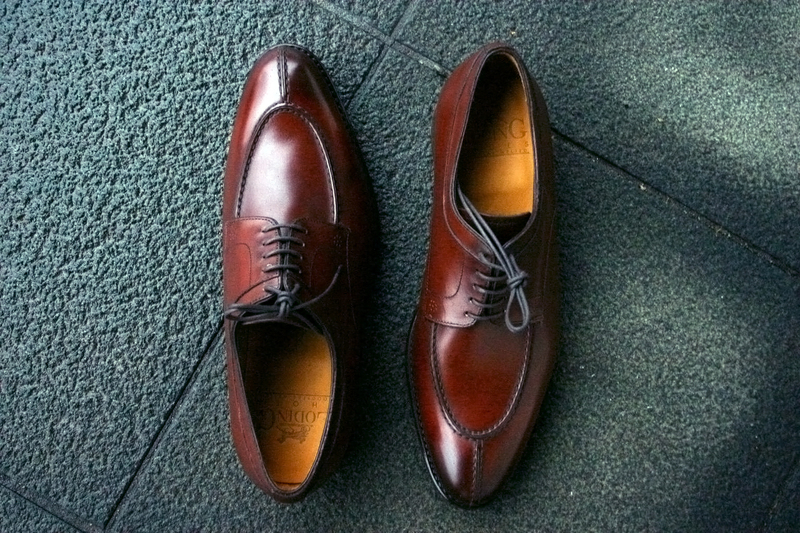 If you're looking for cap toes, Loding has a very handsome-looking pair. What kind of a sum are you looking to pay and what kind of oxfords are you looking for? Being french and having tryed them on and being really popular over there, I can recommend the model called "nevisa". It is pretty good and the shape is really good too. Yet if I can give a good advice: you should try markowki or septieme largeur which are also two brands from FR which are just a level up in terms of quality. Ayways loding is perfect for goodyear shoes reasonably priced! I've actually been thinking of trying a pair of Nevisas, already before trying this model. However, this pair suited my current needs better so I went for it first. 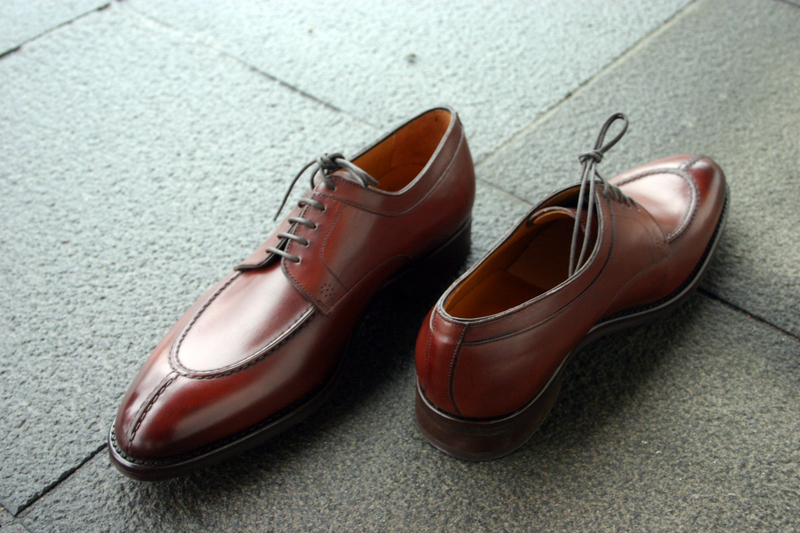 I've had a pair from Septieme Largeur, but haven't really found a pair I like from Markowsky. I have a bit mixed feelings about the Septiemes, but thinking of trying them again soon if things go planned. Loding seems like a brand I will buy a few pairs from, just wish they had more rubber soled shoes, leather only really works half a year up here.